The timeline of our obsession with vintage is like your local Oxfam’s collection of fringed jackets - full of threads. Following the history of vintage clothing can help us understand why previously loved items have always been on trend, even when the eras change. Fashion is everywhere. It envelopes us. From the queues of teens waiting for the next #streetwear drop to your Instagram feed filling up with hungry bloggers trying to make some money off their colour clashes and feather-adorned shackets. As we become more and more aware of the big brands use of sweatshops and child labour it can feel like our brand new trainers are just fuelling the machine. That’s where the beauty of vintage clothing comes in. Purchasing something that has already been bought and worn before becomes a form of anti-capitalist protest, even if you just bought it for your University’s Freshers Week. Like most world-changing fashion events, we can track the beginning of this sartorial revolution to the 1960s. The swinging streets of London had become the teenage tailors Mecca, with a New York Times fashion article remarking, “England’s young began swooping down Portobello Road to buy antique military jackets and delicately handmade Edwardian dresses and, what’s more, wearing them in public”. Dubbed by the media as the “fancy-dress craze”, it was quickly derided by the elder establishment whilst taking off amongst Brittania’s youth and shortly after adopted by their counterparts over the Atlantic. Since then we’ve never really looked back, as every major youth subculture basing some part of their wardrobe, their movement’s uniform, that was inspired by their forefathers. As time and fashion is entirely cyclical, we’re now at a point when past vintage crazes have returned to have another moment in the sun. When the original mod craze died off in the late 60s, it was probably thought that that was it. But a mere ten years later the first Mod revival hit as young people, inspired by Quadrophenia and mod-influenced bands of the time, like The Jam, grew their sideburns and bought a Vespa. Taking mods as an example, their regular resurgences are due in part to the celebrities that bring them back. With Britpop soundtracking the ‘90s, we had the Gallaghers as the loud and proud faces of the third coming and Miles Kane and Jake Bugg as its artistic supporters in the 21st Century. We’ve even seen a return to the original vintage trend, as The Libertines turned Camden into the set of Michael Caine’s Zulu as indie kids donned red military jackets in homage to the group’s signature look. Now, as a 24 year old, I’m at a point when the horrible clothes I witnessed people wearing growing up have now become an actual trend that’s seen on catwalks and streets alike. Perhaps it’s a pastiche on the all consuming 90’s kid nostalgia that we’re unable to escape from or maybe Generation Z actually enjoy looking like Harry Enfield and Kathy Burke in Kevin and Perry Go Large. Either way, it’s very real proof that when a new subculture breaks through into the social zeitgeist, vintage clothing has worked as a cultural marker. Football fans are an interesting subculture to observe through the filter of vintage fashion. When you look down at a sea of your team’s fans, all proudly sporting the team’s colours, you can usually spot a number of vintage kits amongst them. They could be wearing them for a number of different reasons. Like the new mods who miss the music of the past eras, these football fans might wish to go back to a time when their team won regularly or when the fans controlled the terraces. It could also be done in protest against the current crop of available shirts. With kit deals soon to be reaching billions and the monopoly on shirt suppliers tightening even more, we’re starting to see a rise in copycat kits, reproducing the same old templated design just with a different team’s badge. This was bound to happen eventually though. With the rise of polyester in the eighties it encouraged newfound experimentation that piqued with the abstract-inspired nineties kits and finally fatigued around the millennium with fans becoming sick of their football kits being treated like a canvas. To appease the masses the brands toned down the individuality and focused on traditional, which has now lead to boredom and as we’ve learned, when the masses get bored they turn to vintage for a bit of excitement. It’s come from unlikely sources though. 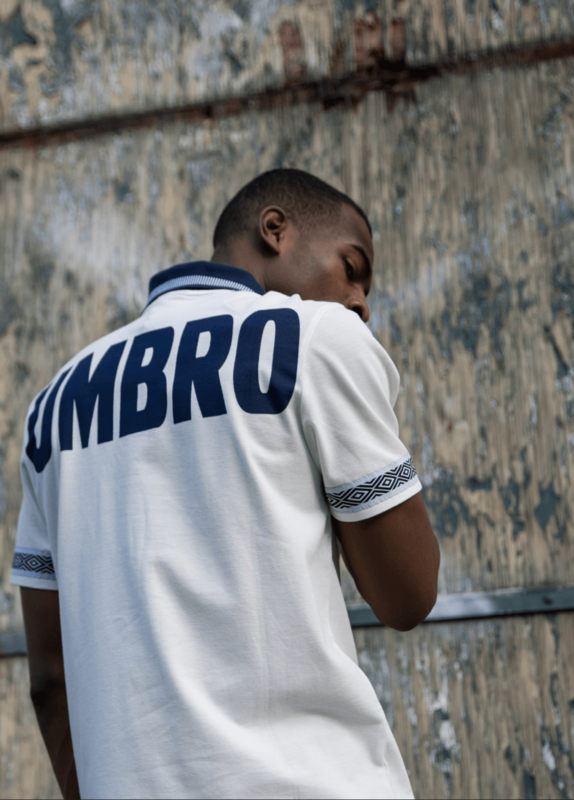 With streetwear brands like Palace reinterpreting classic jerseys, and football infiltrating high fashion through Stella McCartney and Gosha Rubchinskiy for the first time ever, the big boys are now catching on. With the World Cup getting closer and closer, the manufacturers are releasing their designs with many of them building on the styles of previous tournaments. Germany and Colombia are invoking the spirit of Italia ‘90, Nigeria will be paying homage to their inaugural World Cup campaign with their ‘94 look and England have gone for two kits that are re-workings of their classic summer of ’66 look. Vintage clothes have managed to change the landscape of youth culture, music and fashion but asking them to help England win a World Cup might be a step too far. With the trend for vintage reaching fever pitch we can see a definite change in its general make up. Somewhat ironically, the inexpensive, improvised, anti-consumerist vintage fashion that the mods and hippies invented has given way to a form of vintage fashion that is consumerist and expensive with streetwear brands hiking up prices their prices for their fans to get the newest old school look. With eBay and ASOS taking the marketplace digital it means the days of charity shop searching and warehouse delving may be coming to an end although it means longevity is probably assured. With that in mind it may make sense to hang on to your latest purchases for as long as possible – they might be worth something in twenty years.